Download the SpeechKit Mobile SDK 2.1 distribution. The entire iOS Framework list must be added to the project. 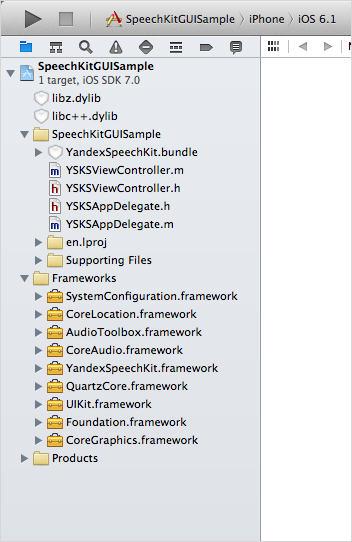 Additionally, YandexSpeechKit.bundle, which is located inside YandexSpeechKit.framework, must be explicitly added to the project.